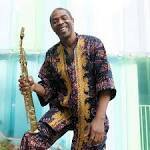 Femi Anikulapo-Kuti, has raised his voice in connection the reason why Nigeria failed. He blamed Obasonjo and Buhari for how they failed to lift the people under their leadership. The Afrobeat icon speaking on BBC Pidgin said Obasanjo failed during his 8 years administration and has nothing to offer Nigerians. Femi stated that Obasanjo at his age should not be participating in governance, adding that Buhari’s government has not lifted the lives of Nigerians. He said “Obasanjo dey talk people dey listen, when he was there for 8 years what did he do? “Did he give us light, did he fix roads or build hospitals? “If he is honest what is he looking for in government at his age. “This government has nothing to offer and had nothing to offer.